The book, Lasting Forever…Birth, death and beyond is an excellent book which touches my heart. Thing which I like about this book is all the important topics which are required for self-improvement is explained in a very simple and practical way. I would recommend to all those who are in spiritual journey to read this every day. Also I like the spiritual planner at the end of the book which is unique. — “B.L. 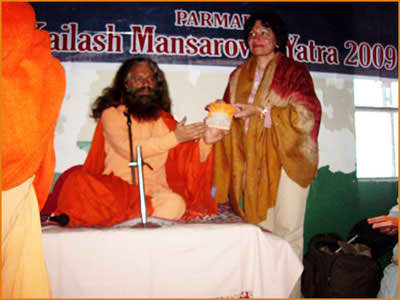 Joshi Vice President of Gita Ashram USA” Each day in the world passes by with innumerable births and deaths. The birth of someone brings joy to us; however, the death of someone is a painful event for all of us. In fact, the very thought of dying brings in us immense sadness and fear. The book, “Lasting Forever… Birth, death” and beyond takes you through a spiritual journey and helps you to start enjoying your day-to-day life, live happily, peacefully and still strive towards a Higher Purpose. It also helps you to gradually attain liberation from the cycle of birth and death—its pain and sorrow. Easy to read with graphics and colorful illustrations and with appropriate quotes from the Bhagavad Gita, this spiritual guide enables everyone to understand the meaning of life and death in the simplest language possible besides answering numerous, conflicting and complex queries that we all have with regard to life, death, God, heaven, hell, soul, and many such similar concepts. The focus of the book is to PRACTICE and APPLY the tips in daily life. Therefore, a daily spiritual planer is provided on the back of the book to practice. If the tips given in the book are sincerely contemplated or practiced for 30 days, one will definitely feel transformed and emotionally strengthened. Note: The proceeds generated by sale of this book are donated to charitable and social activities. 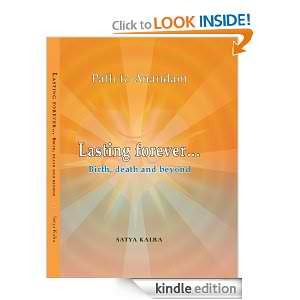 Check out what people are saying about “Lasting Forever” on Amazon.com: Read More..